-new books to read! I am currently reading "Heaven is For Real" - and loving it!! I HIGHLY recommend it. -my dad building me some shelves for the juice bar - they look so good & help me out a whole lot! -homemade peanut butter cookies made by one of the personal trainers...super yummy! -being able to have giveaways for my beautiful readers! -that there have been no zombie attacks in my immediate area! -having funds to buy a new iPhone case...yay! It almost makes me feel like I have a new phone! -having an article about the juice bar in our local paper! -going to a delicious "fancy" Italian restaurant on Saturday night...oh so delicious!! I had spinach ravioli! -although my nails are no longer long (only 5 are!) they were at one point...ALL of them. It lasted about a month. They looked so beautiful. Not sure what happened to caused them to all break. -all of the conversation about my gender roles post yesterday :) I LOVE when I'm able to engage with my beautiful, talented readers! I'm so excited for all the amazing things happening in your life. You are truly blessed. Oh and I would love for you to share some of those healthy recipes. They sound delish! LOL about the zombie attacks ;) I just got a new case last week and it really does feel like a new phone. You always have a wonderful list to be thankful for! I'm jealous of your juice bar...I'm not sure that we have one like that here. And that cauliflower pasta looks amazing! How sweet! Love notes are always awesome aren't they ;) So glad you got that time with V's family and I love the cauliflower pasta. Could you share that recipe or is it top secret ;)? I would love to know that as I am trying to cut carbs out(health reasons) and we love spaghetti and alfredo etc here. Have a great weekend and I must visit the juice bar!!! Hi Cami! Thanks so much for visiting at The Latest Find and for your comment! =) Hmmm..Christian fiction romance that I would recommend... Stuck in the Middle by Virginia Smith, A Very Special Delivery by Linda Goodnight, and Beach Dreams by Trish Perry. Those are all really good! Saw that you're reading Heaven is For Real! Such a neat book, it was neat to read about everything the boy described, especially about his grandfather. My husband basically hasn't stopped talking about the "zombie attack", I have to remind him that zombies aren't real! =) Hope you're having a good week, thanks again for stopping by! i think i read Heaven is For Real in one day. it is such an incredible book. i dont see how anyone could read it and not believe in God or Heaven! Gotta love compliments about your cooking - and lovely weather to go walking ! Thanks for the link up - have the best Friday ever. i'm a little jealous that you can walk to work and that that is your view along the way. i just love the water. congrats on your newspaper article. very exciting! keep being thankful and keep one eye open for zombie attacks. you can't be too careful! happy thursday. And I'm really curious about that cauliflower pasta - was it really good?! Hi! Thanks for stopping by today ;) I missed you last week too!! I have been making jewelry and just got started in the hair bows. Are you looking for hair things that are beachy or bags or jewelry? I'm working on some really neat sea glass jewelry and maybe could do other things ;) Talk with you soon!!! I loved Heaven Is For Real. Great book!! Thanks, as always, for linking up!! LOL thank goodness for no zombie attacks! Oh, man. I seriously can't let go of the Miami zombie attack. I pretty much suspect every person I see has eating-my-face potential. You know what sux? The zombie attack was less than an half an hr drive away from me! so sweet that your dad helped build you shelves for your juice bar! i bet it looks wonderful! the photo of the kitty made me smile bc of course, i LOVE kitties but also for the cute and funny quote on it! love it!! cauliflower pasta...yes, please! it made me hungry just looking at it! 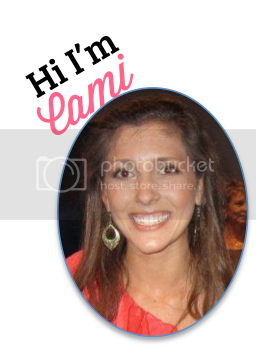 thank you for always leaving uplifting and sweet words, cami! wishing you a happy new week ahead!